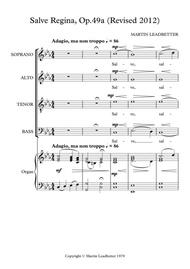 Composed by Martin Leadbetter. 21st Century, Christian, Sacred, Repertoire. Score. 30 pages. Published by Martin Leadbetter (S0.54197). 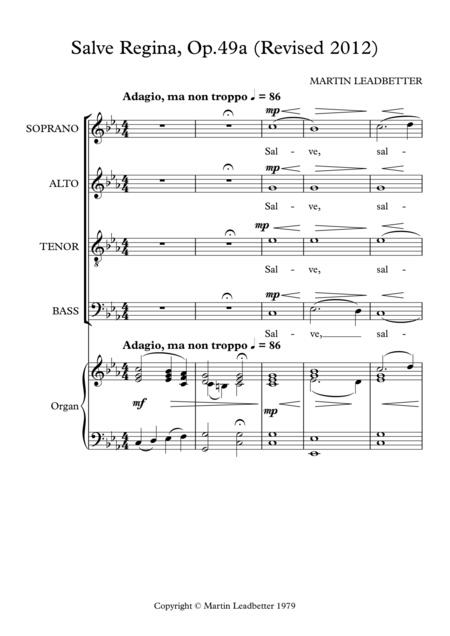 A single movement setting of the sacred poem, Salve Regina, set for organ and SATB chorus. Also available in an orchestral version.